It’s time to take stock of your collection of stylish men’s sneakers. We’re well into spring here, so if you don’t yet have a pair of versatile kicks on your feet or in your wardrobe, it’s time to start shopping. Coming from a guy who absolutely loves rugged leather boots, it can be a bit of a weird transition to stow those away and reach instead for lightweight sneakers. Fear not, though — we’ve got plenty of picks in today’s shopping roundup to tickle your fancy. Whether you seek old-school high-top sneakers, classic white canvas sneakers or a modern pair of trainers, the right pair of sneakers is out there just waiting for you. I’d wager you’re going to need more than just one pair, though. Classic spring sneakers can (and should) be swapped in for dress shoes or leather loafers in plenty of spring style situations, including ones that are a bit more out-of-the-box (like at the office with a blue Oxford, tan chinos and a navy cotton blazer). That’s just the tip of the iceberg, really. Your sneakers are going to see a lot of work on casual weekend outings and spring brewery trips, too. And with something as straightforward as a slim pair of dark denim and a grey pocket tee? That’s where any one of these pairs of sneakers are going to excel. Read on and see for yourself, my friends. Classic design and classic construction makes a great pair of sneakers. Rancourt & Co. stays in the game when it comes to quality sneakers — seriously, they’ve been making theirs using time-tested methods for decades on end. That approach has led to a sneaker with modern styling potential — the Rancourt & Co. Carson Mid — to go along with classic construction. Done up in a spring-friendly khaki color (the ideal complement to light wash denim and a white henley), these are an upgraded take on your standard music festival kicks. But really, you can wear the Carson Mid wherever you want. Easygoing and easy to style — SeaVees nails it. That classic pair of white sneakers that every guys needs in his closet? The SeaVees Hermosa Plimsoll fit the bill perfectly. Crafted with the sort of laidback California cool that SeaVees has down pat after more than five decades in the sneaker business, these are the type of sneakers you can wear on your flight … and then right to the beach. And provided you keep them in good enough shape, they can pull double-duty at the office, too. A slightly futuristic (yet classic?) pair of leather trainers. For every pair of easygoing white sneakers, it seems you can find something a little sharper. If that’s what you seek, the Oliver Cabell Renes Trainer is the way to go, easily. A recent entry into the sneaker market, Oliver Cabell is all about quality materials and streamlined design, hence the Italian rubber sole and use of beautiful Italian full-grain leather. The Renes Trainers also boast a slim profile, perfect for matching up with olive chinos, a white Oxford and a navy blazer any day of the work week. Your favorite denim brand is making a pair of sneakers that are remarkably easy to wear alongside said jeans. There are times when a guy just needs to wear, well, sneakers. You know. Just plain, simple, stylish sneakers that aren’t too fussy or expensive. That’s where I’d argue the Woods Canvas Sneakers come into play, folks. Made by arguably the most classic denim brand out there, the Woods Canvas Sneakers are an ideal set of casual kicks. Think muted colors, a wearable silhouette and the ability to be paired up with beat-up Levi’s jeans, a crisp heather grey tee and a bomber jacket. I think I just found your new favorite bar crawl outfit. A seasonally appropriate shade of green that’ll pop just enough against spring neutrals. If you tire of wearing black, white or navy sneakers consistently and want to add a little color into the mix, the eye-catching SeaVees Monterey Sneakers are the right way to go about it. Available in a shade of green that’s spring-friendly but not too bright, the Monterey Sneakers are another casual option done right by SeaVees. Wear these with chino shorts and a grey cotton polo (plus a stylish casual watch) for a few rounds of patio or rooftop beers. At least, that’s what I’d do. Sporty sneakers that bring a lot of athletic-inspired style to the table. Rounding out this list, we’ve got a pair of sneakers for the more athletically minded fellas among us. While the YORK Athletics Mfg. Featherweight Sneakers aren’t fully made for working out, they’ve got more sporty style than the rest of this batch. That works out nicely if you want a pair of sneakers that work for quick weekend outings or comfortable travel in equal measure. And hey, the Featherweight Sneakers live up to their billing when it comes to kicks that are both comfortable and stylish. So, do you have a favorite pair of sneakers from the above list? Are the athleisure-inspired YORK Athletics Mfg. Featherweight Sneakers your pick? Or perhaps you’d go with something like the SeaVees Monterey Sneakers are the ones to get — and wear with everything from a henley and light wash jeans to chino shorts and a slub polo. The streamlined Oliver Cabell Renes Trainer offers a bit more modern style alongside business casual combos like dark blue denim and a navy cotton blazer, while the Woods Canvas Sneakers from Levi’s are a unique offering from a lauded denim brand. If something even more classic tickles your fancy, the SeaVees Hermosa Plimsoll ought to get the job done nicely. However, my personal favorite might be the Rancourt & Co. Carson Mid, a classically constructed pair of sneakers with the versatility you can only get from high-top kicks. Let me know your favorites in the comments below, or on Twitter. It’s been some time since we’ve taken the leap into a set of Online Shopping Picks outside the realm of menswear — in the case of today’s post at ye olde Style Guide, that means we’re talking the best men’s home goods to upgrade your space. Call it getting a jump on spring cleaning, call it wanting to stick to your menswear resolution of designing a better home or apartment, or call it a little … retail therapy. Either way, the right picks for your space can say as much about you as your choice of a classic Oxford shirt or a pair of American-made denim. Think of home goods as a bit of an extension of your personality and sense of style; that can make finding new pieces a fun journey. For instance: I frequently outfit my space with vintage-style pennants from Oxford Pennant, which you might have come across if you follow me on Instagram — it’s a cool venture to find a pennant that I like, one that might fit with my space. But that’s just one small component of adding a bit of character and cool style to your space. Hopefully, the below picks are more than enough to get you thinking about how to upgrade your space in style. Like what you see? Let me know on Twitter! A limited-edition print available for a surprisingly agreeable price — a great first foray into wall art. Inexpensive, neatly designed and eyecatching, the Huckberry One Full Circle Print is a worthwhile piece of wall art to brighten up a wall that’s, well, plain white or grey. It’s a heck of a steal from a retailer that you likely already shop anyways, and it’s one of only 50 available. Start small with this piece, then add other accents around it — at least, that’s what I’d do if I were you. Start small with this cool planter, and you might be surprised where your green thumb leads you. In addition to starting with a crisp, colorful print, a small planter is but one way to liven up your desk, windowsill or den. Now, the plant itself isn’t included when it comes to the Norden 5-Inch Planter, but the cool Black Speckle color is a good enough base for a succulent or something lively and low-maintenance. Plus, a welcome shot of green is enough to liven up enough the most seemingly plain spaces this spring. A serving tray that looks stylish as heck and works as a cool coffee table centerpiece. When is a serving tray more than just a simple serving tray? When it’s handsomely made and well-designed by (del)Hutson, with the sort of aesthetic that stands out nicely on a coffee table or in the kitchen. You can certainly use the Reclaimed Wood Serving Tray to serve, y’know, tasty cocktails or appetizers, but it can also function as a display for magazines, a candle, some reclaimed wood coasters — all of which add just a bit of character to your space. Add a bit of flair and function to your space with this useful leaning ladder. This next recommended pickup can be just a bit tricky if you’re pressed for space (as I am in my Brooklyn apartment). But on the other hand … it can also provide you with a bit more space and a bit more bang for your buck. Use the Yamazaki Tower Leaning Ladder Hanger to display your favorite shirts, use it as a handy space to hang cool blankets, or toss a pair of pants over it in an artful way — it’s the little things that speak volumes about your space. A small-yet-worthy home goods upgrade, and a terrific way to store your everyday carry. We’ve covered some handy storage solutions for larger items in your home or apartment — how about picks that make it easier to store your everyday carry essentials? Enter the Tanner Goods Valet Tray, which can readily serve as a home decor upgrade as much as it can work as a storage upgrade. The use of Meridian English bridle leather sets apart this surprisingly rugged valet tray from the rest of the pack. So, that’s hopefully a good start when it comes to the best men’s home goods. Just like building or updating your wardrobe, the process of upgrading and refreshing your space definitely takes time, a bit of know-how and a proper budget. Starting small — with the Tanner Goods Valet Tray, for instance — is but one move that can make a difference in the way you store your everyday carry. Going slightly bigger, with the Reclaimed Wood Serving Tray from (del)Hutson, can offer versatility and functionality for hosting parties or displaying your favorite reads (see, it’s the small things!). And other handy storage options, including the Yamazaki Tower Leaning Ladder Hanger, add some character and functionality to your space. Not to be forgotten, the Huckberry One Full Circle Print is a reliably stylish and easy wall art upgrade, while the Norden 5-Inch Planter provides the perfect vessel for a small-yet-lively plant. That’s about the best possible home goods “starter kit” you could ask for, right? How are you planning to upgrade your space as we move into spring? Let me know in the comments! Dealing with the doldrums of winter can be tough on many fronts — style included. It’s cold, it’s windy, it’s snowy … at least for those of us who live up North. What’s a guy to do? Well, layer up and keep on trucking. If you read The Style Guide regularly, you’re aware of our picks for the best men’s winter accessories — so, let’s add another dimension to that. Which is to say, let’s talk about rugged layering essentials, like today’s list of stylish long-sleeve shirts. Yes, it’s an overlooked category, seeing as a long-sleeve shirt is often just that — your base layer, fit for wearing under a flannel-lined trucker jacket or a durable winter coat. Yet, there are a few that stand head and shoulders above the rest, and those are the ones that we’re talking about today. If you have a favorite, I’d urge you to pick it up while it’s still around … and I’d urge you to let me know which one ya grabbed over on Twitter! For now, let’s get to work. A classic thermal tee made with military style inspiration in mind. What can’t Buck Mason do? This classic-leaning menswear brand focuses on, as you might have guessed, easygoing styles tinged with throwback Americana. Of course, this Thermal Surplus Tee sure fits the bill nicely, what with a tough waffle-knit exterior and a reversible jersey interior. It’s the kind of thermal tee you’re going to want to layer under your favorite denim shirt — perhaps with some slim black jeans and rugged winter boots — for a casual evening out and about. A cotton henley with a tailored fit, plus a chambray placket for a bit of visual interest. Yes indeed, the Grayers Todd Slub Henley is a bit of a departure from a classic thermal — a rugged henley can more easily be worn on its own than a thermal shirt, but the Todd Slub Henley gets the nod here regardless. Grayers is a brand that delivers on multiple fronts, from soft shirting to well-fitting blazers and slim chinos, and you can’t go wrong with a cotton shirt that’s primed for all sorts of winter layering. An easy-to-wear layering piece that’ll work quite well in winter. If you normally associate Outerknown with breezy, summer-like weather and style — the brand was started in part by surfing legend Kelly Slater, after all — then think again. The brand’s Callao Crew is definitely a relaxed, easygoing layering piece, but that doesn’t mean you should discredit it when it comes time to throw on under, say, a classic crewneck sweatshirt. The striped design also makes for a bit of visual interest when worn under a rugged flannel shirt, for instance. Perhaps the ideal long-sleeve shirt — perfect for layering, comfy enough to wear on its own. You didn’t think we’d get through an edition of our Online Shopping Picks without recommending some standout Flint and Tinder gear, did ya? Don’t let the 100 percent construction of the Flint and Tinder Supima AirKnit Tee fool you — you’re still getting a rugged long-sleeve shirt that’s more than primed for seasonal layering (it’d work quite well under, say, the Taylor Stitch Yosemite Shirt, for starters). What’s better than a slim-fitting, neutral long-sleeve tee? Not much at all. A comfortable, slim-fitting crewneck tee that’s exactly what you want in a winter layer. That’s right, my friends — Outerknown has nabbed another spot on this list of the best men’s long-sleeve T-shirts, this time owing in part to the quality fabric and standout layering potential of the Odyssey Long-Sleeve Crew. The quality starts with the use of soft cotton jersey, as nice a base layer as you’re going to find. This particular shirt also uses recycled fabric, all the better for the environment. The end result? A shirt that’s exceptionally excellent for casual weekend style. 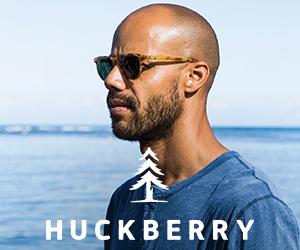 A durable henley in a color that’s more than ready for winter — subtly stylish. Life/After/Denim always comes through with stylish, laidback gear that’s got just enough rugged functionality for every season — that’s certainly the case with this Thermal Henley, done up in a winter-friendly Pigskin color. It’s been a quick seller via Bespoke Post, and with good reason: It’s nearly 50 percent off the purchase price. Yes indeed, this rugged thermal henley is going to look great under a shawl collar cardigan or worn casually around the house with some slim sweatpants — looking great, even when at home, pays off. OK, Style Guide readers — what’ll it be from the above list? Perhaps the durable, well-crafted Life/After/Denim Thermal Henley? Or perhaps the soft, slim-fitting Outerknown Odyssey Crew? If it were me, I’d layer either under a rugged chambray shirt or a classic winter cardigan . Lest we forget, the classically inspired Thermal Surplus Tee from Buck Mason is a winner, perhaps the best of the bunch. The Flint and Tinder Supima AirKnit Tee is another stellar layer, as is the Grayers Todd Slub Henley — I’d wear the Todd Slub Henley under a tan herringbone blazer for style that’s just a bit of a throwback. And if you’re more inclined toward decidedly casual winter fashion, I’d go for the Callao Crew from our pals at Outerknown, ideal for throwing on under a grey crewneck sweatshirt. I sure hope that gives you a start as you shop around for a new long-sleeve shirt for rugged winter layering. And if it doesn’t? Shoot me an E-mail via the Contact page above — I’m always down to talk shop! Our focus today on The Style Guide is all about getting you prepped for winter in style — that means it’s time to tackle the best men’s winter accessories that your hard-earned money can buy. Our recent Online Shopping Picks entries have covered everything from stylish socks for the season to classic denim shirts for all your layering needs, but there’s something missing. Isn’t there? After all, what goes better with rugged leather boots than essential winter accessories? That means we’re covering everything from a standout winter jacket (via United By Blue) to a stylish Taylor Stitch scarf and a rugged pair of leather boots— and we’re just getting started. If it’s bewildering and crazy to know that we’re moving into winter after it seems like fall blew by, then you’re not alone. And with these picks for the best winter accessories, you’re going to stay warm as you fight the chill — we’re in this together, folks. Let me know what you think of my selections over on Twitter, and follow along to get some winter #menswear tips on my Instagram account. Don’t let the simple looks of the American Jacket fool you — it’s tough and ready for winter weather. When you think winter accessories, do you tend to think more about the smaller items, things like stylish wool socks or a dependable winter scarf? That’s all well and good, but what about when you need to break out the true heavy hitters — a must-have winter coat has gotta be near the top of your list, right? I humbly offer up the United By Blue American Jacket, a beastly, functional and surprisingly stylish men’s winter coat made with a waterproof shell and filled with warm (and sustainable!) bison fiber fill. Less bulky than a parka and more stylish, the American Jacket is a worthy investment. From head to toe, you need your bases covered — Rancourt & Co. has your boots on lock. Again, let’s think about the big picture — and thus, the big-ticket items you need in your closet (and on your feet) this winter season. While there are plenty of pairs of stylish leather boots to choose from out there, few combine everything into one handsome package quite like the Rancourt & Co. Shearling-Lined Dresden Boots. Featuring handsewn construction and Horween leather, the Dresden Boots are also, as one would expect, lined in cozy shearling. Complete with a rugged (and treaded) rubber sole, the Rancourt & Co. Dresden Boots could be the most essential footwear purchase you make this season. The right finishing touch for any winter outfit has to be a stylish Taylor Stitch scarf — agreed? OK, with your new favorite winter boots and a stylish winter jacket out of the way, let’s move onto something smaller, but no less critical — an everyday winter scarf. It’s helpful that this particular winter scarf comes from Taylor Stitch, a personal favorite brand that’s proven that it can do just about anything. Featuring a blend of alpaca and wool fibers, the Taylor Stitch Scarf is all-natural, with a versatile color that actually comes from undyed alpaca fibers. The Taylor Stitch Scarf would add just enough visual interest with a charcoal overcoat, slim blue denim and … dare I say … the Rancourt & Co. Dresden Boots? Don’t consider your gloves an afterthought in terms of your wardrobe — invest in this pair from Hestra. Lest we forget, durable winter gloves are an absolute must, whether you’re layering up with a rugged field jacket or a slim topcoat. And since we’re accepting nothing less than the best, I’d say you ‘ve got to pick up the Hestra Deerskin PrimaLoft Gloves, featuring just the right combo of sleek style and functionality. PrimaLoft insulation will keep your digits nice and toasty, while elastic cuffs make these easy to slip on and off. These stylish winter gloves are certainly an investment in terms of price, but it’ll be one that pays off … according to me, at least. Don’t leave home without this Taylor Stitch beanie on your head — trust me. OK, so your hands are nice and toasty, you’ve layered up with the ridiculously dependable United By Blue American Jacket, and you’re now looking to keep your ears warm. Allow me to introduce you to the Taylor Stitch Beanie in Navy Alpaca, a well-made winter hat from a brand that absolutely deserves some space in your closet. This Taylor Stitch beanie uses a Fisherman’s Rib Stitch for extra durability and thickness, something that’s essential when dressing for the polar vortex that’s coming. Socks aren’t all that important, right? Wrong. This cotton-nylon pair is dependable, breathable and ready for winter. When are socks more than just, y’know, socks? When the socks in question happen to be the Wigwam Cypress Socks, and when those socks happen to be keeping your feet warm this winter. Reliable winter socks can be a tricky proposition in terms of matter of style, but these cotton-nylon socks should be comfortable and breathable to wear. The Wigwam Cypress Socks are the sort of pair that are stylish enough to wear with classic dress shoes, yet dependable enough to wear with rugged winter boots while keeping your feet from overheating. I don’t know about you, but I already feel warm and toasty just looking at some of these picks. When you layer up with the United By Blue American Jacket and complement that with plenty of other dependable winter accessories, you’ll have no trouble staying cozy in the snow. The trick comes in picking products that blend fashion and function, like the Rancourt & Co. Shearling-Lined Dresden Boots, featuring durable Horween leather. The same is true of smaller accesories, like the Taylor Stitch Beanie in Navy Alpaca and the complementary Taylor Stitch Scarf. And right on down to your socks, we’ve got you all set — the Wigwam Cypress Socks should be a go-to pair on many a cold night. I’m also a big fan of the Hestra Deerskin PrimaLoft Gloves, a reliable, sleek pair of winter gloves for outfits both tailored and casual. These picks should be enough to get your winter wardrobe started — you can expect plenty more #menswear tips for the cold weather in the weeks and months ahead. There’s a heck of a lot of gear you need to take on winter in style, from the right pair of socks to a rugged henley for layering to a stylish and warm jacket. These are areas that certainly aren’t to be overlooked, and the same can be said for the boots you throw on this winter. We talked just a few months ago on The Style Guide about the best men’s boots to buy for fall, and winter calls for similarly rugged, functional style — yet with a bit of twist. Your stylish winter boots need to be able to take on blustery winds and drifting snow, and you need to be able to navigate to and from work, your favorite bar and that holiday or New Year’s Eve party. Trust me, it’s a lot … that’s why I think you’re going to dig the rugged leather boots we’ve got on tap today, from the remarkable Mark Albert Traveler Boots to a classic pair of shearling boots from Rancourt & Co. If you think I missed any brands or styles, hit me up on Twitter or drop a line in the comments below, and if you want to see how I’m wearing my boots this winter, check out my Instagram. Happy shopping! Disclosure: This post contains affiliate links, from which a small commission might be earned on purchases. All opinions are the author’s own. Thanks for supporting the brands that support The Style Guide! Goodness gracious — Huckberry and Original Chippewa are back at it with these stellar boots. It’s no secret that I’m a big fan of Original Chippewa and the brand’s classic Service Boots, so the Huckberry x Original Chippewa 6-Inch Service Boot is a ready-made winner in my book. These exclusive Service Boots feature a Vibram sole and a Goodywear welt for extreme traction and durability, even in the snow — and they’ll look particularly great underneath some American-made denim. Yes indeed, the Huckberry x Original Chippewa 6-Inch Service Boot is that elusive pair that can take you all around town and through the snow, then right on into happy hour. Can Red Wing improve upon a classic? Trick question — they just did. Is it possible to take a classic boot silhouette, one that dates back decades, and quite possibly make it better? Red Wing Heritage has done that with the Merchant Boots, a modern update to a throwback pair of boots that looks simply exceptional. The Red Wing Merchant Boots are based on a bestselling style from the brand way back in the 1920s, featuring rich mohave leather, tough brass hardware and classic Goodyear welt construction. Wear the Red Wing Merchant Boots with slim blue denim and your favorite shawl collar cardigan for timeless winter style. A pair of boots that are stunning, stylish and just as functional as you need this winter. We mentioned the Mark Albert Traveler Boots earlier, and with good reason. The Traveler Boots are what some might call the perfect pair of boots — if you’re into rugged, classic style. These exceedingly stylish leather boots feature full-grain Horween leather, an oil-resisting Vibram sole and the sort of construction that avoids slips and slides on snowy ground. The Mark Albert Traveler Boots even feature USA-made laces for an added dash of quality construction. Wear them with navy corduroys and a tan herringbone blazer for a blend of rugged and tailored style. A unique take on the Chelsea boot from a classic brand. No complaints when it comes to getting around in the snow. Let’s combine the look of a slightly more rugged Chelsea boot with the functionality of a dependable pair of snow boots, and … boom! The Blundstone Super 550 Boots are what you might get. The Blundstone silhouette is definitely unique and a bit quirky for some folks, but there’s no denying the traction-ready outsole and the brand’s Poron XRD sole technology. The Super 550 Boots are certainly a little more casual, and thus weekend-ready — style the Blundstone Super 550 Boots with your favorite bomber jacket. From the shearling lining to the comfortable padded collar, your feet are going to thank you for these boots. Here’s your new favorite pair of winter boots — maybe, just maybe. The Shearling-Lined Dresden Boots from Rancourt & Co. pack a ton of winter-ready functionality into one pair of boots, from the shearling lining — of course — right down to the sturdy Lactae Hevea sole. The Dresden Boots feature plenty of warmth and style points, plus handsewn construction and that classic moc toe upper. That’s an old-school combo that makes these Rancourt & Co. boots perfect for wearing on the weekend with a classic crewneck sweater and a faded pair of dark blue denim. When Taylor Stitch makes boots, the brand does it the right way. Oh, man. Taylor Stitch doesn’t misstep … seemingly ever, right? And that goes for when the brand puts its mind toward crafting a uniquely stylish pair of rugged men’s boots, too. Simply put, the Taylor Stitch Cap Toe Moto Boots are well worth your time and money. The Cap Toe Moto Boots are made with durable storm welt construction and feature rich black full-grain steerhide leather, and that’s not even where the good stuff ends — they come with a pair of waxed cotton laces and a pair of antique leather laces for a bit of versatile styling potential. However you end up wearing the Cap Toe Moto Boots, they’re going to treat you just fine. A pair of boots that’ll help you fight the snow and look positively great when wearing a suit. For the fella who appreciates a bit of tailored winter style to go along with weather-ready dependability, might I recommend the Hudson Shoes Fernie Boots? The Fernie Boots have been a bit of a hot seller this season, so you’ll have to act now to snag a pair — but rest assured, you’re getting a rugged and refined pair of captoe brogue boots done up in handsome brown leather. They just might be the perfect pair of boots to wear with a suit, as a thick rubber sole will help you combat the winter weather. Can you tell we love brown leather boots here on the blog? Last but surely not least, I give you the Thorogood Beloit Boots, just one pair among many pairs of stylish men’s winter boots that you’re going to want to add to your shopping cart this season. Handmade in Wisconsin the right way, the Beloit Boots are about as rugged as it gets, crafted with Horween Chromexcel leather and a unique cork outsole for a comfortable fit (not to mention durable winter style). The Thorogood Beloit Boots are perhaps best worn with tough chore pants and a classic field jacket for simply getting things done this winter. Well, that’s one heck of a list of perfect men’s winter boots, if you ask me. I kid, I kid. 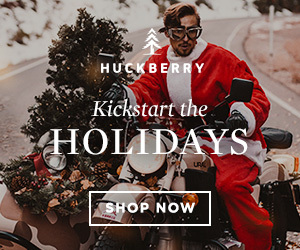 And yet … from the Huckberry x Original Chippewa 6-Inch Service Boot right on through to the Hudson Shoes Fernie Boots, there’s surely something for everyone from top to bottom. If it’s dependable, workman-like style and performance you seek, try out the Thorogood Beloit Boots. Want something with a bit more edge? Take the Taylor Stitch Cap Toe Moto Boots for a spin. Need to stay extra warm and stylish? The Shearling-Lined Dresden Boots from Rancourt & Co. are your best bet. That’s just the tip of the iceberg, though — the Blundstone Super 550 Boots offer up unique looks and snow-ready toughness, while the Mark Albert Traveler Boots are practically one-of-a-kind in terms of stellar style. What’s your favorite pair on this list? Let me know in the comments below, and thanks for reading! OK, let’s take stock of what’s on your feet in today’s new Online Shopping Picks entry — no, not your stylish leather boots. Instead, let’s look at … your socks. Yep. Stylish men’s socks are quite the underrated part of an outfit, it seems; at the very least, they can be an afterthought. But rest assured, no matter whether you’re lacing up classic leather sneakers or classic chukka boots, your socks are just as important as the rest of your outfit. That’s especially true during the chilly fall and winter months, as the right pair of socks can add warmth and comfort — plus serious style points — to your rugged style ensemble. That goes for dressing in casual weekend style just as it does with getting dolled up for a day at the office. And y’know what? We’ve got some excellent pairs on tap for any occasion today, from brands you know (like Anonymousism) and brands that might be a bit newer (take CHUP, for instance). Either way, you’re going to be stepping out in style this season. If you’ve got feedback or picks of your own, you can hit me up on Twitter. Cheers! Finely crafted socks that are stylish enough to work at the office and laidback enough to wear on the weekend. Stylish socks can be just as critical as other more essential fall style picks when it comes to adding texture and seasonally appropriate color to your ensemble. Take the Anonymousism Slub Crew Socks. Featuring neat texture and a color that’s very ready for fall and winter, the Slub Crew Socks should fit right in as they peek out from beneath slim blue denim and classic suede lace-up boots. $18 is definitely a fair bit of change to drop on socks, but Anonymousism makes it worth your time & money. Another pair of socks worth your money, if only for the great pattern and quality. Let’s keep this list rolling with yet another pair of investment-worthy socks. Yes, investment-worthy is certainly something that applies to well-made American Trench socks like the Fair Isle Socks in Merino and Cashmere. Why the high price tag? Well, American Trench works with family factories to source the materials and produce some of the best men’s socks out there. The fact that the Fair Isle Socks in Merino and Cashmere just so happen to add some cool pattern to any outfit is just a bonus. Wear these with slim charcoal trousers and a navy cardigan for fall-friendly style. Japanese-made socks that are the real deal in terms of excellent design and great quality. You very well might recognize CHUP from our #OOTD series here at The Style Guide — the brand’s reliable socks are unique, carefully made and packed with cool patterns. These Japanese-made socks are made using time-tested methods on stocking frame knitting machines, one of the first types of knitting machines invented. So, the Vivienda Socks have got quite a lot of quality packed in. And when it comes to looks? The CHUP Vivienda Socks blend an intricate pattern with a neutral gray base — the perfect socks to wear when you want to stand out quietly. Simple socks for simple style, particularly on a fall or winter weekend. There are times you just need a casual pair of socks that look sharp while providing comfort. Nothing fancy — just function with a dash o’ good locks. That’s where the Arvin Goods Crew Socks enter the mix, folks. Equal parts sporty and casual, these Arvin Goods socks are made, like the rest of the brand’s line, with sustainability and style top of mind — good news for us eco-conscious style fans. Wear these with slim sweatpants and stylish leather sneakers, plus a rugged grey crewneck sweater, for your next weekend brunch. Functionally minded socks made with outdoor adventure in mind. We turn once again to simple, understated socks that work in a pinch — especially when you need a durable pair of socks for fall and winter exploration. Thankfully, the Wigwam Cypress Trail Socks come in quite handy in that regard. Namely, if you need a pair of “get-the-job-done” socks to wear alongside rugged leather boots and the Taylor Stitch Chore Pants on your next hike, the Cypress Trail Socks are the way to go. Every guy needs a go-to pair of tough socks in his closet, right? Crisp socks with a dressier look and feel than other options on this list — yet another job well-done from American Trench. You knew weren’t done recommending American Trench socks, right? Just as with the brand’s Fair Isle socks, the Sawtooth Argyle Socks feature the comfortable and exceptionally well-made blend of merino and cashmere, all the better to keep your feet feeling great. In fact, that fabric blend is engineered to prevent odor and keep your feet dry at the same time — not a bad job from American Trench here. The Sawtooth Argyle Socks are slightly dressier — feel free to punch up your worsted wool navy suit and stylish men’s dress shoes with these American-made socks this fall and winter. The perfect wool socks to wear with leather boots in chilly weather this fall and winter. As previously seen in an edition of The List — featuring rugged fall style picks galore — the Etiquette Clothiers Sherpa Boot Rib Socks are quite possibly your new favorite socks to wear with …. your favorite fall boots. If ever there was a pair of thick, durable socks to stand up to harsh weather while still looking great, I’d say it might be the Sherpa Boot Socks. Made in Italy from a wool-acrylic blend and done up in a fall and winter-ready color, the Sherpa Boot Socks would fit right in with black denim and tan leather boots, and they’d also add a shot of vintage-inspired style to charcoal herringbone trousers and chunky wingtip boots (plus a rugged field jacket for a bit of high-low style). Vintage-inspired socks that add sporty, old school looks to any outfit — particularly white leather sneakers, a classic cardigan and tan chinos. Our last and final pick comes at you from … welp, American Trench. The brand continues to branch out into new, different directions in terms of products — the Kennedy Luxury Athletic Socks are a prime example of that unique approach, with quality still at the forefront. The Kennedy Athletic Socks play off the same styles seen on icons like JFK, so think of these as more old school-style socks than a pair you’d wear to the gym. At any rate, the American Trench Kennedy Luxury Athletic Socks should serve you just fine, especially when teamed with a stylish field jacket and durable chinos. OK, my friends. Of the above pairs, which one did you like best? Or did you have more than one pair in your sights? Perhaps the sporty and vintage-inspired American Trench Kennedy Luxury Athletic Socks will work for your weekend style pursuits? Or maybe the tough, rugged Etiquette Clothiers Sherpa Boot Rib Socks are more your speed — especially if you consistently reach for boots like the Wolverine Original 1000 Mile Boots. For straightforward style, casual function and comfort — an oh-so-important mix — the Arvin Goods Crew Socks are a prime pick-up, as are the trail-ready Wigwam Cypress Trail Socks. When it comes to dressy situations, a crisply made pair like the Sawtooth Argyle Socks from American Trench fit the bill nicely, and no list would be complete without essential, versatile socks like the CHUP Vivienda Socks. Oh, and what pair of socks to put on for everyday wear? Easy — the Anonymousism Slub Crew Socks are your go-to move. Have any picks you’d add to this list — or remove? Let me know in the comments or on Twitter. If there’s one thing that’s clear to those of you who read The Style Guide, it’s got to be the fact that your editorial team of one absolutely loves rugged men’s style essentials. Case in point: Today’s list of the best men’s denim shirts. Originating from real-life, rugged Western workwear and done first by companies like Levi’s, today’s denim shirts are a prime fall and winter style essential for guys who gravitate toward classic yet slightly edgy off-duty style. Made from cotton denim fabric, you can wear ’em across all four seasons — believe me. Some classic men’s denim shirts go full-on Western, with details like authentic stitching and front-button chest pockets. Other shirts, like the Taylor Stitch Jack Shirt in Sea Washed Denim — sitting near the top of this list — feature a modern fit and fewer authentic style details, yet plenty of versatility either way. Rest assured, your new favorite denim shirt is wearable with everything from black denim to burgundy corduroys this fall and winter. Just add stylish leather boots, and you’re set. Read on to see the full list below, and leave your feedback in the comments section or on Twitter. An utterly classic denim shirt — the original workwear staple. Perhaps you think of something like the Levi’s Barstow Western Shirt when you think of the classic denim shirt. After all, Levi’s brought the style into vogue for tough, hard-working fellas long before the slim denim shirt was a style staple the world over. With multiple washes available — the Red Cast Rinse wash just might be the most classic — the Barstow Western Shirt features Western flap pockets & stitching. Wear it with black denim for rock concert-ready style, or team the Barstow Western Shirt with your favorite fall blazer for a bit of edgy style on the daily grind. A more modern take on the denim shirt, done right by Taylor Stitch. Want a denim shirt that’s a little bit more modern than a Western-style denim shirt? Well … you want the Jack Shirt in Sea Washed Denim from Taylor Stitch, my friend. Featuring the tailored fit and quality construction for which the brand is known, the Jack Shirt is easily wearable with other staples already hanging in your closet, from grey selvedge denim to olive chinos and a rugged crewneck sweatshirt. Made from long staple cotton that gets better with every wear, the Taylor Stitch Jack Shirt is the denim shirt you didn’t know you needed. A slim, modern denim shirt that’s well-crafted and easy to wear. If you want a denim shirt that’s easygoing and laidback, then you want the BANKS West Long Sleeve Shirt. Done up in a pleasing shade of light blue, the BANKS West Shirt is a four-season staple, wearable with slim black denim and a shawl-collar cardigan in the fall, or able to pair up with slim chinos and classic leather sneakers in the spring and summer. Perhaps the best part of all? The BANKS West Shirt is an exceptional deal — get it while it lasts. A rugged utility shirt made for layering — yet another type of denim shirt to add to your rotation. When it comes to rugged men’s shirting, Taylor Stitch — and by extension, the Taylor Stitch Utility Shirt — simply fill that void in terms of the perfect denim shirt. Made with, well, utility and functionality in mind, this 11oz. cotton-silk shirt is at once heavyweight and yet easy to wear. Simply layer the Utility Shirt over a Taylor Stitch striped henley, then add olive chinos and classic suede chukkas for unbeatable weekend style. Ultimately, the Taylor Stitch Utility Shirt is made for work — real, live work — or play (an evening at your favorite brewpub). Is this a shirt? Is it a jacket? It’s both! And that’s good enough for this list of the best men’s denim shirts. Well, well, well … what do we have here? A quilted shirt jacket that’s actually … made out of cotton? Easy to layer with one of the best men’s T-shirts or with a rugged men’s henley? Yes my friends, the Roark Revival Murman Woven Shirt captures the best of both worlds, featuring a cool deep blue fabric and the type of design you know and love. In the case of the Murman Shirt, that means chest flap pockets and again, that crucial layering potential. It’s different than your typical denim shirt, and that’s good enough for a spot in your closet. Alright, folks — which of the above stylish men’s denim shirts will you be buying? As you can see, there’s versatility aplenty when it comes to the right denim shirt for you, from a classic Western denim shirt from Levi’s to a durable shirt jacket from Roark Revival. And as for me? I love a casual-yet-classic denim shirt like the Jack Shirt in Sea Washed Denim from Taylor Stitch. In fact, the right denim shirt can work with everything from slim black denim — yes, denim-on-denim flies — or grey chinos … or burgundy corduroys. You get the idea, right? With durable fabric and easygoing style potential, the BANKS West Long Sleeve Shirt is a similarly versatile denim shirt for fall and winter. And before we forget, the Taylor Stitch Utility Shirt is another winner from the brand, crafted from a unique and long-lasting denim blend. If you ask me, that quality, top-notch design approach is what you need in your new favorite denim shirt. Feel free to chime in on the below picks or ask questions in the comments. With that being said, let’s grab a denim shirt, layer up and get out there for fall and winter!